Are you ready to have a ball?! 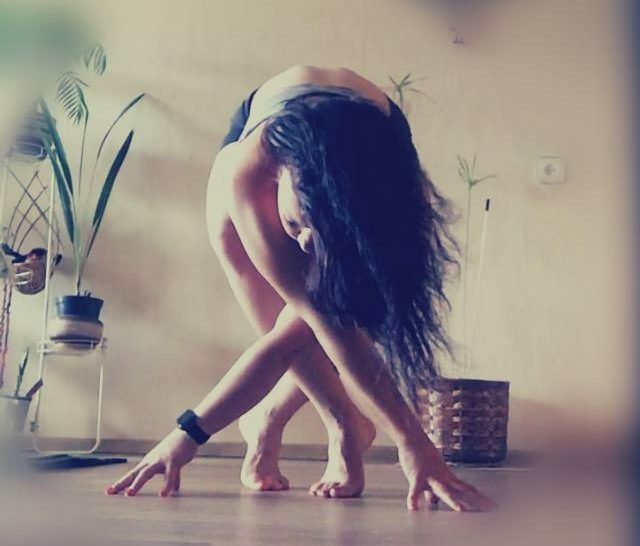 This blog is mainly for those who are interested in Fitball exercise classes (Pilates and other classes involving the use of a Swiss ball) or those who would like to do some ball exercises at home. What are FITBALLS? And no they are not your kids space hoppers 🙂 (though they do look very similar). Apart from numerous benefits (like strengthening core muscles, balance etc) Fitballs are great fun to use and they are quite a challenging piece of equipment at the same time. 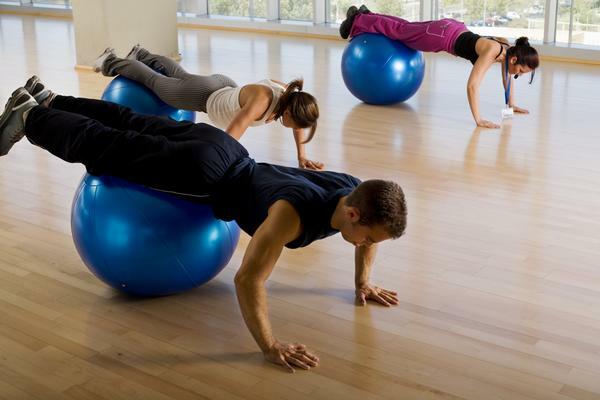 The biggest benefit of using swiss balls is that they are very effective at targeting core muscles, those muscles that are essential for stability and good posture but are often overlooked when exercising with fixed position equipment such as those found in gyms. Fitballs are designed to help improve the core muscle groups by focusing on strength, balance, weight distribution, posture and coordination. By developing the core muscles and learning how balance and posture affect these muscle groups, the user can gain a better understanding of how the human body moves and through this understanding learn how to avoid injury. 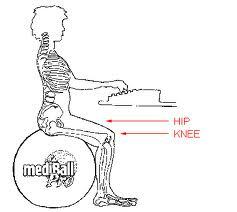 BALANCE is another major benefit of using the balls: one of the primary purposes of a fitball is to help learn balance. The round shape of the ball makes it inherently difficult to balance on. This creates a need for the user to work harder while exercising as they must not only develop the strength and coordination needed to perform their normal exercise routines, but must also learn to balance on the ball at the same time. This requires the use and toning of even more muscle groups and can greatly enhance the overall benefit of a workout. As opposed to performing isolation exercising standing up (targeting just one muscle group) when working out on the ball, which is unstable, your body needs to recruit additional muscles in order to stay balanced. This means that, for example, if you perform a bicep curl whilst sitting on the ball, your body will recruit your deep stabilising abdominal muscles (also known as core muscles), thereby toning your tummy while you tone your arms. Below is a Fitball size chart. But you will find that not all 65cm balls are actually 65cm (not all 75cm ones are 75cm), some of them will be smaller, some – bigger (even if it says that on the box). So my advice would be: keep your receipt, inflate the ball, sit on it and check that it is the right size for you. If it is not – deflate and take it back to the shop. If you are not too tall I would always go for a 65cm one, I find 55cm ones are too small. The classes will be starting in Dingwall from May. Please check www.natalliasfitness.com for all the news and updates.